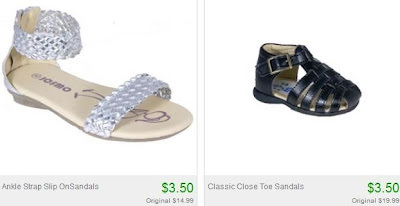 $3.50 Sandal Blowout Sale + 10% Off or Free Shipping! TONS of Sandals for Infants-Big Kids! Hurry over to Totsy and check out their Super Savings Sandal Event to find TONS of sandals for infants, kids and youth for just $3.50. Yep, every pair is just $3.50!